​Tottenham Hotspur manager ​Mauricio Pochettino is being increasingly linked with a summer switch to Bayern Munich at the end of the season after gossip in Germany has once more stated that the Argentine is wanted by the reigning ​Bundesliga champions. Earlier this month it was a report originating from Kicker that started the ball rolling after claiming that Pochettino is on ​Bayern's radar as they look for a permanent successor to Carlo Ancelotti, who was sacked in September following a poor start to the season. With 72-year-old interim Jupp Heynckes seemingly unlikely to stay on beyond the initial terms of his temporary agreement, Bayern need to land a new boss. Now, a report from SportBild has taken Kicker's story further by claiming that Pochettino has been contacted by Bayern after being put forward as a candidate club president Uli Hoeness and chief executive Karl-Heinz Rummenigge by sporting director Hasan Salihamidzic. It is said that while the Bayern board are keen on the idea that whoever they hire as the new head coach must speak German, Salihamidzic has 'always had a different opinion'. 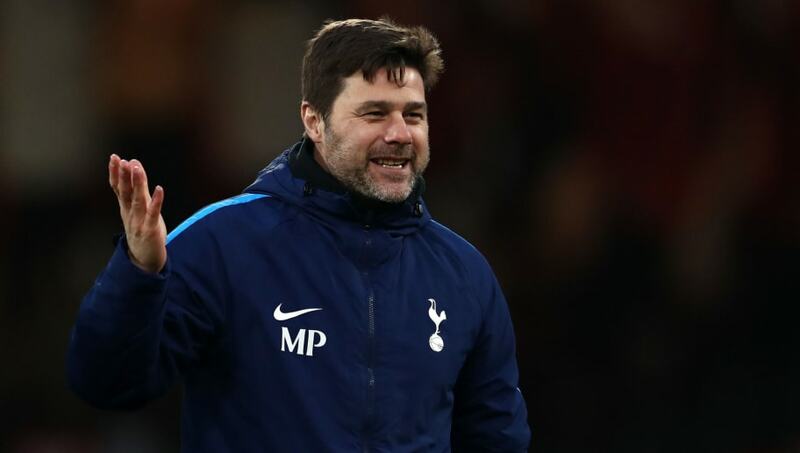 Pochettino famously did not speak English when he landed his first ​Premier League job at ​Southampton in 2013, only to quickly prove himself as a tremendous manager and coach. SportBild notes that prising the 46-year-old away from Spurs is likely to be a challenge, especially as he remains tied to a long-term contract until 2021. The only way to break that would likely be to offer the London club a compensation figure north of €10m. It is also said that should Pochettino be interested in leaving ​Tottenham, his greater priorities may be ​Real Madrid, should Zinedine Zidane be out of a job, or Paris Saint-Germain. Just how determined Bayern would be in pursuit of him remains to be seen.